Britain may be tightening its belt. But there's stll plenty of money about, even for comparatively low-grade but unusual classics. The 54 1930s and 1940s American cars and trucks, stars of the forthcoming movie 'Captain America the First Avenger' almost all hugely exceeded their estimates in the Historics auction at Brooklands today. The movie was shot in Shepperton Studios and on locations in Manchester and Liverpool doubling as 1940s New York. It premiers on 22nd July 2011. Many of the cars had been modified for filming, with V8s under the bonnets and competition automatic transmissions. The stunt double pair of 1937 Chevrolet 'Yellow' cabs also had special hydraulic brakes to throw them into drifts, while, though four 1939 Buick 8 Model 40s looked outwardly identical, one had a V8 under trhe bonnet instead of the original straight eight. But, most intriguingly, some of the cars revealed 1960s 'hot rod' modifications. 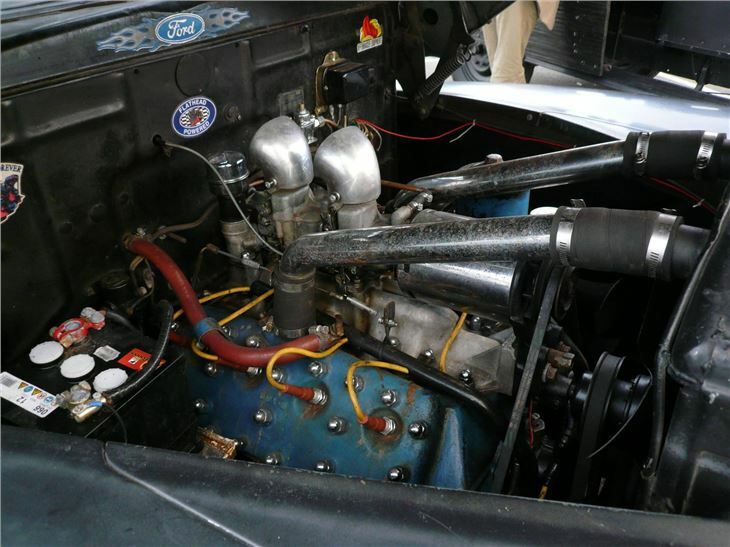 A 1946 Ford had what looked like a Mercury flathead V8 under the hood with twin downdraft Holley carbs. An outwardly innocent looking Chevy had twin carbs and an electric cooling fan. 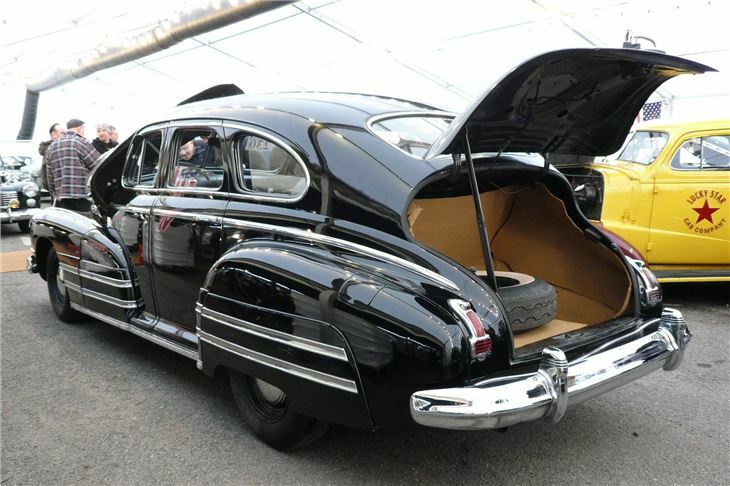 While quite a nice 1939 Oldsmobile Coupe ran a small block Chevy V8. The most exciting bidding of the day was for a 1933 Dodge Wrecker, seemingly hauled out of the desert near Paton, New Mexico, and not having run for 50 years. (The strange round thing on the side in some photos is actually part of the winch that didn't quite fit within the rear sides.) 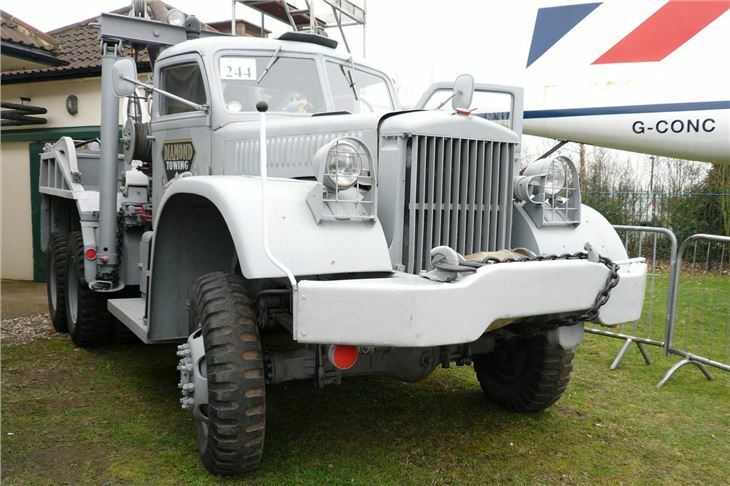 Completely covered in surface rust, but with no holes that I could see, it was the most atmospheric vehicle on sale and, though estimated at a low £1,000 to £3,000, romped away to sell for £10,200 (£11,424 with 10% commission + VAT). 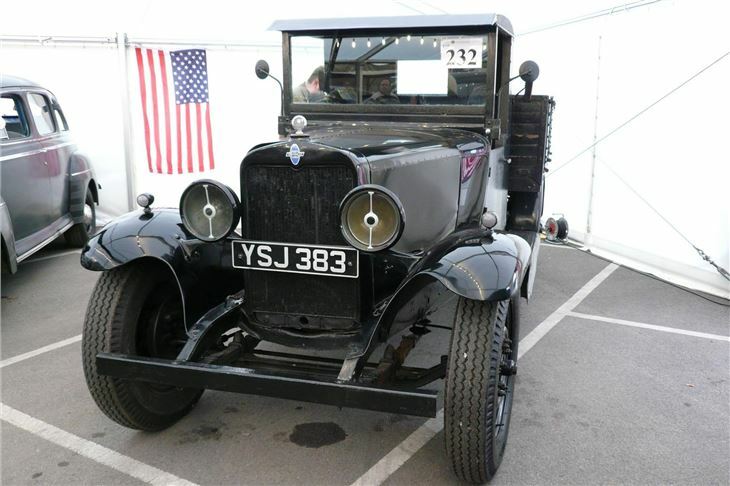 Reeking nostalgia, a 1931 Chevrolet pick-up truck (with Chevy's stright six overhead valve engine), sold for £5,800 plus commission. 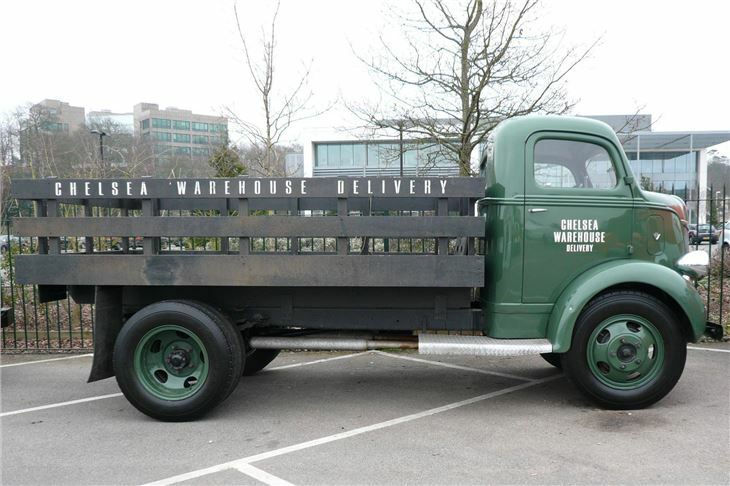 A beautifully restored 1938 International Harvester D-Range panel van made £9,600. 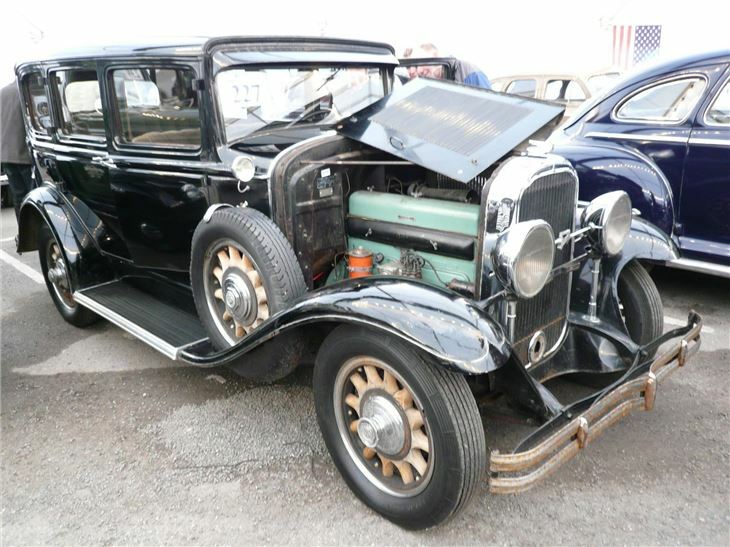 One of the 1937 Chevrolet stunt taxis sold for £6,000. 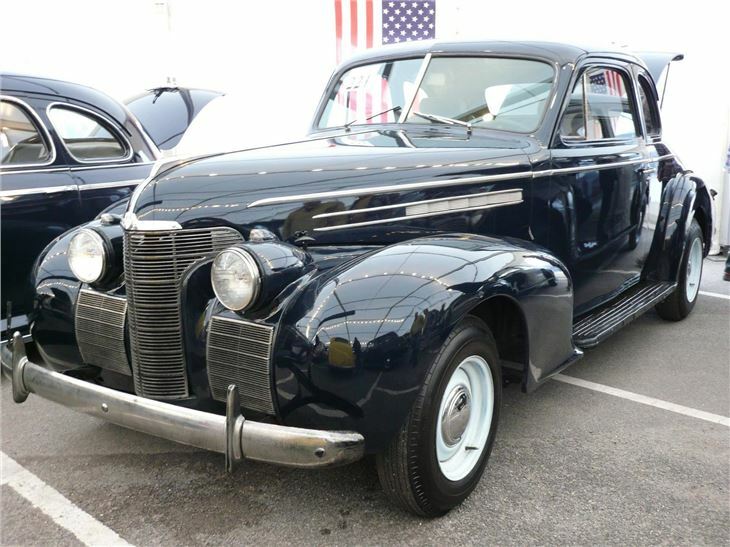 The 1946 Ford Sedan with the twin carb Mercury flathead made £5,900. 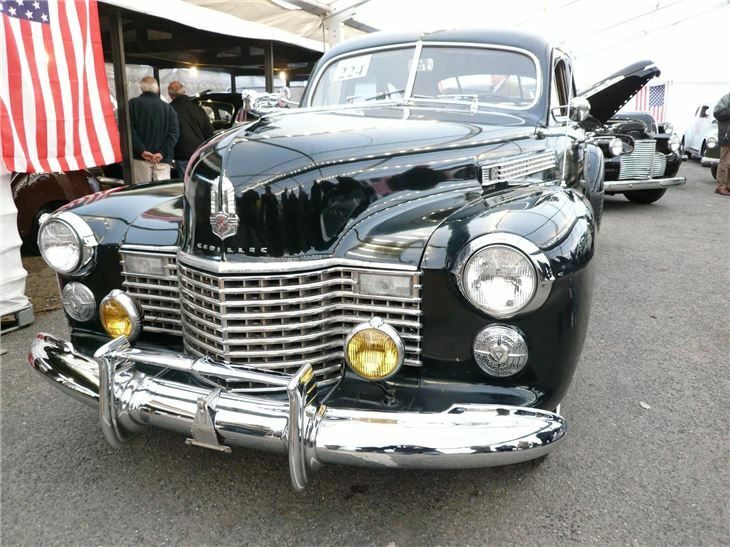 While the 1939 Oldsmobile Coupe with a V8 under its hood sold for £6,000. 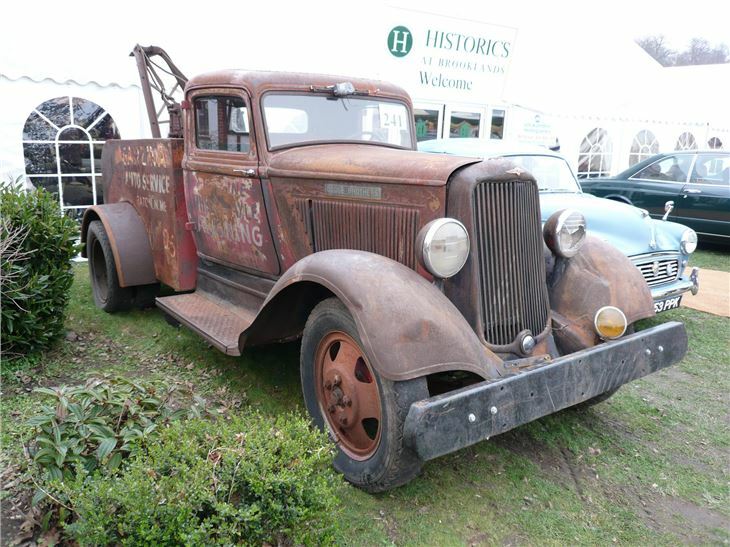 Dearest vehicle sold was a very appealing 1941 GMC Series 100 pick-up, sold for £12,250, and. like some of the others, possibly now back on its way to the States where it's worth a lot more than it is here. Almost everythign sold way over its estimate. Though in fairness to the auctioneers, how do you estimate for stock like this, most of it never normally seen in the UK? Virtually the only exception was a very rare 1942 Chevrolet Gilling Brothers School Bus painted in the livery of a New York tour bus. That was estimated highest of all the lots at £18,000 to £22,000, yet only bid to a provisional £8,500. Updated results below. 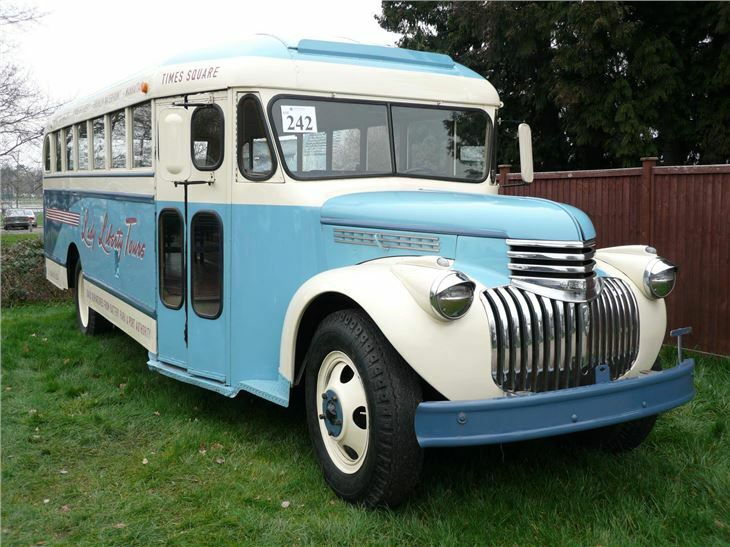 All the provisionals sold for the provisional top bids except for the 1942 Gilling Brothers bus that was bid to £8,500 on the floor and sold for £10,000. Please add 12% commission (10% + 20% VAT) to all these prices. For more information, call 0800 988 3838, e-mail: auctions@historics.co.uk, or see the website, www.historics.co.uk.